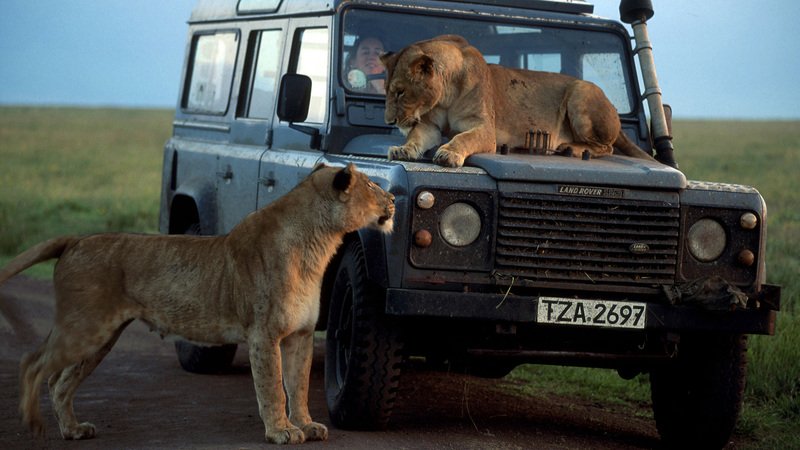 The big cats of Africa have always been favored subjects of wildlife filmmakers. But as little as 15 years ago, no one had captured the unforgettable image of a leopard in its ghostly nocturnal stalk. Viewers had never seen intimate portrayals of the sleek and elusive serval, or witnessed the nighttime romps of the beautiful black-eared caracal. The team of Owen Newman and Amanda Barrett filled those gaps with a series of spectacular breakthrough films in the 1990s. Among the first to apply infrared light and night vision goggles to wildlife studies, they combined technology with intrepid determination and a strong dose of luck, illuminating the cats we hardly knew, and giving us fresh insights into those we only thought we knew, such as lions and cheetahs. Join the team of Newman and Barrett as they pursue unique and amazing footage of Africa’s five most spectacular cats: cheetahs, leopards, servals, caracals, and lions in Chasing Big Cats.